Wells are the natural way to get water, so it must be clean and healthy, right? Wrong! Well water doesn’t go through a water treatment plant like municipal water. That means it might contain contaminants like volatile organic compounds, coliform bacteria, lead, and other toxins. Municipal sources disinfect their water with chlorine, so you need well water chlorination to fill that role. Get your water tested at Angel Water and invest in a chlorinator so that your well water is safe and clean! While some urban dwellers might not be entirely able to relate to the experience, many other readers will have at some point received drinking water sourced from wells. These wells may not look the way you imagine, as they now often feature pumping and chlorination equipment far removed from the simple “bucket on a rope” method of retrieving the water, but the function remains essentially unchanged: bring groundwater up to the surface for people to drink. With that in mind, one should take note of the differences between getting your drinking water from a municipal source versus getting it from a private well. Well users face unique risks and challenges to attempting to make their water consistently safe and clean. One of the biggest of these is chlorination. While municipal water systems chlorinate all their water before it reaches your home, well users are left to implement chlorination on their own. So, what are these unique risks that well water poses? And how might chlorination help? Here’s a basic guide. 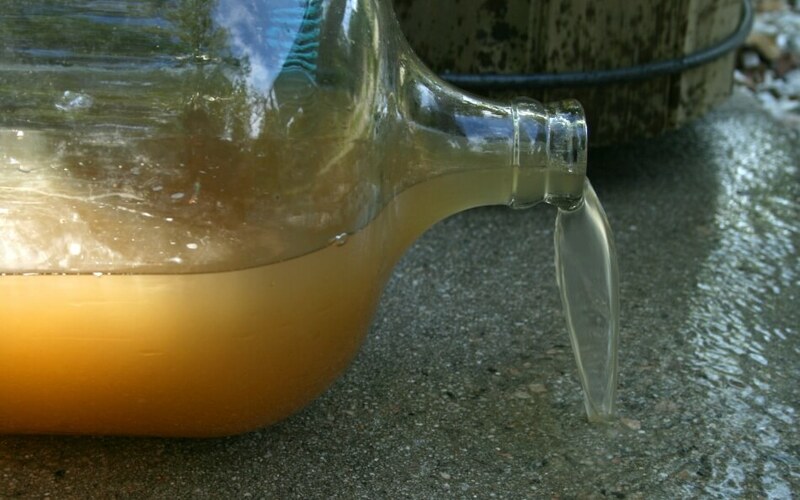 When you drink from a municipal water supply, there are numerous layers of bureaucratic oversight in place which are meant to reassure you that the water is of a sufficiently high quality to be safe. Community drinking water systems are overseen by the Illinois EPA, while non-community drinking water systems are managed by the IDPH. Those agencies watch over the construction, inspection, testing, and management of those water supplies. With well water, however, things are different. While all new well construction has to be approved by the IDPH, who also issue permits and conduct inspections, testing is left up to the owner. Of course, all too many people take an “if it ain’t broke don’t fix it” approach to such things, and neglect to keep up with testing and water quality control until they notice something is clearly wrong. But while some contaminants can be seen, tasted, or smelled, many of the most dangerous cannot. An example of this is volatile organic compounds (VOCs), a family of some 21 chemicals byproducts of solvents and fuels. Businesses such as gas stations, repair shops, dry cleaners, print shops, and metal parts fabrication facilities used to dispose of solvents by dumping them on the ground. Even though that practice was banned in the 80s, the VOCs that leached into the groundwater have stuck around—the Illinois EPA has reported finding widespread VOC contamination in groundwater across the state as recently as 2009. Other common contaminants include, for example, coliform bacteria. Usually found in human and animal intestinal tracts, the presence of coliform bacteria is an indicator that surface water or sewage has gotten into the groundwater, and points to other more harmful bacteria being present as well. Nitrate is common as well—this pollutant comes from nearby feedlots, farm fields, manure storage areas, and septic systems, and is particularly dangerous to infants and pregnant women. Herbicides, pesticides, and other synthetic organic chemicals from nearby farming activity also can get into your groundwater and pose risks to your health. Less common contaminants can include toxic elements like arsenic, radium, and lead, which can leach into groundwater through either mineral erosion or industrial runoff, as well as diseases like giardiasis that are caused by water-dwelling parasites. go through certain processes and meet specific standards set forth in regulations before it even reaches your home. The EPA has limits set for permissible concentrations of any given toxin. To meet these guidelines, municipalities treat the water at a water treatment plant before it gets piped to residents. One of the most important processes the water undergoes is chlorination. Chlorination is when chlorine is added to a water supply to kill microorganisms responsible for such diseases as dysentery, cholera, gastroenteritis, and typhoid fever. The chlorine can be added in one of several forms, including solid calcium hypochlorite, sodium hypochlorite solution, or a compressed elemental gas. Exactly how chlorine destroys those bacteria isn’t completely understood by the scientific community. It’s thought that since chlorine is so reactive, it reacts with different compounds on the organisms’ cell membranes, disrupting their membranes. This allows vital cellular components out of the cell and terminates cell functions. Chlorination started in 1908 and today is the most common way that municipalities disinfect their water from these germs and make the water safer for consumption. But well users don’t get the benefit of their water being chlorinated before they even get it. They need to do it themselves. If that sounds like a risky operation, we don’t blame you. While some online sources try to make it sound like nothing more than simply pouring bleach (which contains calcium hypochlorite) down the well and pumping it through, it can be more complicated than it first seems. To know what form of chlorine to use, how much of it to use, and how to administer it, you have to take note of the dimensions and depth of your well, the water’s temperature, the pH, and other factors as well. 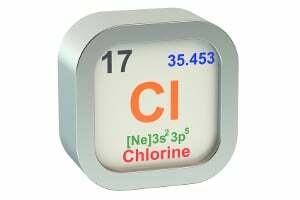 You have to maintain certain chlorine residuals to make sure it’s effective, or, if adequate contact times aren’t possible in your well, you need to superchlorinate and then dechlorinate, i.e. you need to introduce higher levels of chlorine to make sure they kill the bacteria and then remove some afterward. And if your well is new or just repaired or found to be infected, you may need to perform shock chlorination. This can be a lot to have to learn about though—you need to learn all the details about your well and about how chlorination works, and if you make a miscalculation or if you forget to do it as often as necessary your health is on the line. That’s why many private well users instead opt to install equipment which performs chlorination continuously. If you’re looking for such a setup, then we at Angel Water Inc. are ready to help. We’re the premier water treatment company and regularly install systems for well water chlorination in Barrington and the surrounding area. Just give us a call at (847) 382-7800 and we’ll help make sure the water from your well keeps you feeling well. PreviousCan Drinking More Water Help You Lose Weight?